We hear quite a bit of talk about ‘vermin’. Usually in the context of a bird or animal not being worthy of help, or needing to be killed, or struggling to find help because they are ‘classed as vermin’. It’s something which undoubtedly leads to a great deal of unnecessary suffering so we wanted to take the opportunity to dispel some myths. That said, certain species are mentioned in articles of legislation which can mean that they can or must be treated differently. The main legislation here is Section 14 of the Wildlife and Countryside Act (WCA) which states that a person is guilty of an offence if he releases or allows to escape into the wild an animal which is not ordinarily resident in or a regular visitor to Great Britain or is listed in Part 1 of Schedule 9. It is important to note the term ‘ordinarily resident’ – this is not the same as native. Some species may not have originally been native to the UK but are now well established and considered resident so there is no longer any restriction on their release. We have tried to summarise the position of commonly considered ‘pest’ species below. Disclaimer: we are not legal experts and advise you clarify the legislation for yourself before taking any potentially illegal actions. It is illegal to release Canada Geese as they are listed in schedule 9 of the WCA. In practice, they are commonly treated and released by most wildlife rescues. We recommend you check the policies of any rescue you approach for help with a goose. The Destructive Imported Animals Act 1932 forbids the release of Non-indigenous rabbits. This does not include the European Rabbit which is the species commonly found in the UK. You should generally find it straightforward to find help for a rabbit casualty. It is illegal to release mink as they are listed in schedule 9 of the WCA and covered by the Destructive Imported Animals Act 1932. They can be kept in captivity with a license. It is illegal to release Grey Squirrels as they are listed in schedule 9 of the WCA but it is possible to apply for a license to keep and release them from Natural England. This is set to change in October 2019 when these licenses will be withdrawn, forcing rescues to cull any such animals brought to them. If, like us, you think this is abhorrent, please sign the petition at https://petition.parliament.uk/petitions/235425. We are trying to build a database of UK rescues who are able to look after squirrels which you can see here. It is important to note that the species listed in section 9 of the WCA is Rattus Rattus – the black rat. The species commonly found in the UK is Rattus Norvegicus. Although not native, they have been here since the early 1700s so are considered ordinarily resident. Therefore it is not illegal to treat or release them. However, there is much concern about rats being infected with potential zoonotic diseases (those which can be passed from animals to humans) such as leptospirosis and hantavirus which means that many rescues will refuse to care for them. 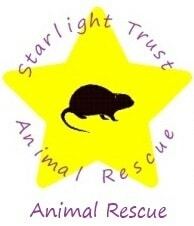 We are trying to build a database of UK rescues who are willing to look after rats which you can see here. Although house mice (mus musculus) are technically non-native, they are well established and not listed under schedule 9 of the WCA. Long tailed field mice and yellow necked mice are native. There are therefore no legal restrictions on the treatment or release of mice. You may still experience some resistance when asking for help with a mouse casualty though so we are trying to build a database of UK rescues who are willing to look after mice which you can see here. Perhaps the most misunderstood species. We often hear of rescues and vets refusing to treat them because they are a ‘pest’ or ‘vermin’ and to do so would be illegal. There are no legal restrictions on the treatment and release of pigeons. You may still experience some resistance when asking for help with a pigeon casualty though so we are trying to build a database of UK rescues who are willing to look after pigeons which you can see here. As for pigeons, these birds have a bad reputation but there is no law against caring for and releasing them. Our list of rescues willing to treat gulls can be found here. 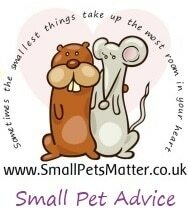 Please note – our lists of ‘pest’ friendly rescues are a work in progress and not exhaustive so if you do not see a suitable rescue listed in your area, please try other numbers and ask if they can help. It would help us to help others if you could let us know of any rescues you find happy to help these species.